America’s banks may finally be ready to loosen the M&A reins. Smaller U.S. lenders have plenty of reasons to merge: slow growth, rising costs and low interest rates. They have held back, though, in part because what few deals were in the works got stuck in regulatory quagmires. The U.S. Federal Reserve, though, has just approved BB&T’s $363 million swoop for the Bank of Kentucky Financial. That might help put things back on track. The two announced the tie-up in early September. Pre-financial crisis transactions received quicker approvals: the 2004 JPMorgan-Bank One merger got one in less than six months. The need for better oversight lengthened the process. Capital One Financial waited eight months for the Fed to allow it to buy ING Direct’s U.S. outfit in 2012. M&T Bank’s purchase of Hudson City Bancorp later that year is still under watchdog scrutiny. Size was an issue in both those transaction. Each added tens of billions of dollars in assets to the buyer’s balance sheet, perhaps warranting closer examination of potential systemic risk. The Fed also used the M&T acquisition to dig into other issues like anti-money laundering policies. Smaller deals should have an easier time. The Bank of Kentucky will increase BB&T’s roughly $189 billion in assets by only around $2 billion. And the Fed reiterated in approving the purchase that it’s sanguine about mergers where the combined assets remain below $25 billion. That gives more diminutive lenders hope for resolving a number of issues. Low interest rates are crimping earnings across the industry, but interest income tends to be a bigger piece of small bank revenue. Demand for loans is flagging, too. And a welter of new costs from more regulation, cybersecurity threats and digital payments systems are harder for those institutions to bear than for their larger peers. Susquehanna Bancshares is a case in point. The $18.6 billion lender’s loan portfolio has shrunk over the past couple of years, and three-quarters of its top line comes from interest income. Last November it agreed to sell – also to BB&T. Approving that transaction soon would lure even more banks to the race to do deals. The U.S. Federal Reserve on June 3 approved BB&T’s takeover of the Bank of Kentucky Financial. The Winston-Salem-based lender, which has $189 billion in assets, announced its intention to pay $363 million for the $1.9 billion Bank of Kentucky on Sept. 8, 2014. Several other recent bank deals are awaiting regulatory approval, including BB&T’s November purchase of Susquehanna Bancshares, Royal Bank of Canada’s January swoop for California-based City National and CIT’s acquisition of OneWest Bank’s parent, IMB Holdco. M&T Bank is also still waiting for approval for its takeover of Hudson City Bancorp, which it announced in August 2012. 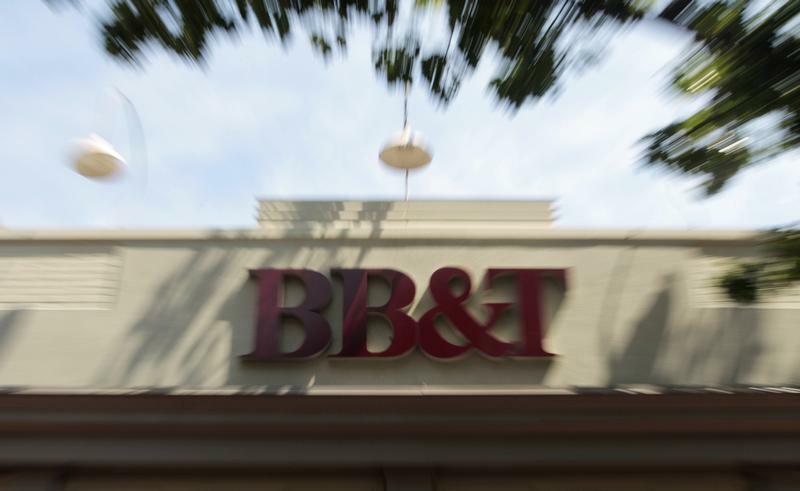 In March BB&T received regulatory approval to buy 41 Texas branches from Citigroup.